Maelyn Kaya keeps a stainless-steel retractable straw in her coat pocket at all times. It’s attached to her keychain and has its own carrying case and cleaning wand for her on-the-go needs — such as in the Bridgehead coffee bar where she was sipping a drink. Where to grab a coffee or meet a friend is always a conscious choice for the 15-year-old Nepean High School student. The Westboro Bridgehead location uses biodegradable plastic straws as an alternative to regular plastic which meets with her approval. As an environmental activist, she says she tries to practice what she preaches. 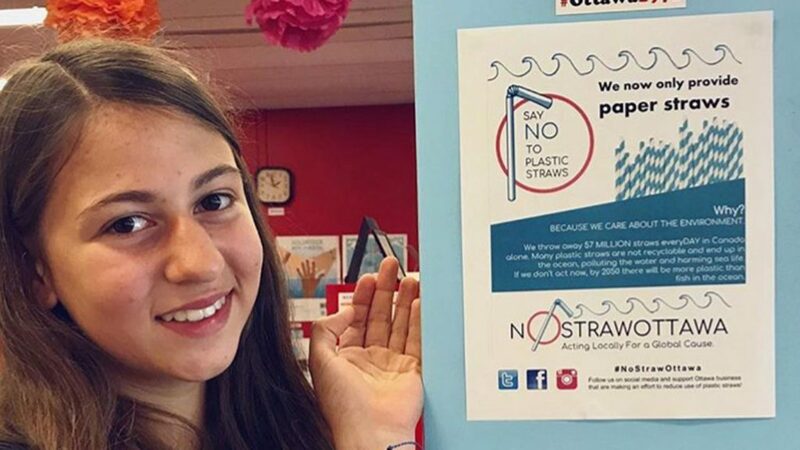 Kaya is the founder and sole member of No Straw Ottawa, an environmental initiative she started this past June. She wants to educate Ottawa residents about pollution and encourage local businesses to reduce waste by foregoing plastic straws. Today, No Straw Ottawa has 31 supporting businesses, according to its website. She’s not alone. Dozens of environmental organizations have popped up worldwide this past year, all taking aim at plastic straws because of their impact on oceans and wildlife. So far, Kaya has focused on enlisting businesses close to home, in Westboro and Hintonburg. Her strategy initially was to reach out by email to explain her mission and ask about current policies. That’s how she learned the importance of casting a wide net. For those who did reply, Kaya made posters and sat down with owners and managers to talk about straw alternatives. Most choose to switch to biodegradable or paper because re-usable straws are hard to clean or are stolen. She decided to take a direct approach with businesses that didn’t respond, walking in and asking for a meeting. Usually they’d tell her to send an email, she says, rolling her eyes. The student spent the start of her summer vacation doing research. She studied straw suppliers to find the difference between alternatives, looking at prices and how they degrade. Currently, she’s contacting distributors such as Sea-Straw to try and get a deal to offer businesses discounts on products to persuade them. She also investigated how the no-straw movement affects people with disabilities and she found there’s no perfect solution for everyone. “Paper melts, stainless steel gets too hot, and glass and bamboo don’t bend,” she says. She adds that she thought silicone could work, but it’s also problematic because it’s a common allergy. According to Kaya, even only providing straws upon request is an effective change. After doing research she built her website, then left Ottawa to spend two weeks at The Whale Camp in New Brunswick. There she learned more about environmental issues and returned to the city to devote her summer to sending emails, visiting businesses and putting up posters. Environmentalism isn’t a new interest to Kaya; caring for animals and ecosystems runs in the family. “My uncle is a zoologist, so from a young age I’ve had a close relationship with wildlife,” she says. While her uncle dedicates his life to rescuing apes from circuses and labs, Kaya wants to save her own favourite animal — whales. 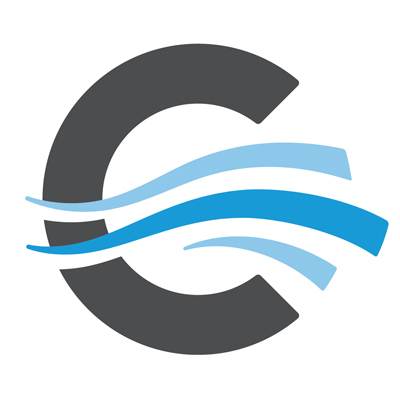 She became interested in plastics after spending time at Constance Creek Wildlife Refuge over the years, where she learned about its negative effect on oceans. The growing worldwide popularity of the no-straw movement has garnered criticism from those that argue that straws are not a major threat to wildlife, because they make up a small percentage of non-recyclable plastic in the ocean, but the so-called insignificance of straws is exactly what drew Kaya to them. “No Straw Ottawa, and the entire movement, is not actually about straws,” she insists, sighing. “I chose straws because they’re so small and easy that people can say no and not think about it.” Once people begin thinking about straws and environmentalism Kaya says she thinks they’ll subconsciously consider other plastic, like cups and cutlery, that pose bigger threats. For Kaya, changing habits begins by starting small and getting plastic consumption into the minds of today’s society. She uses different strategies to sway people to the movement. Individuals are usually “a little harder” because she must appeal to the morality of saving the environment, whereas businesses ask fewer questions. While she says she’d rather environmentalism be for more genuine reasons, anyone who’s taking part is a success, and Kaya gives each business a shout-out on her website and Facebook page. Being convincing isn’t Kaya’s greatest challenge as an activist — it’s her age. She laughs while describing the different times owners or mangers would “try to humour” her in the past while not taking her seriously. Some don’t believe she’s the real deal. She hides her youth well, evident when she was contacted by representatives for Environment Minister Catherine McKenna, who assumed No Straw Ottawa was a large, adult-run organization. McKenna is also a supporter and activist for the no-straw movement and contacted Kaya to help contribute to her cause. They did a video together, which Kaya remembers as difficult because she was nervous about talking to McKenna. In the end she left with advice from the minister to ignore any pushback she gets in pursuing her goals. Her next step is to go beyond her neighbourhood and start contacting businesses in Lansdowne and Byward Market. Then she’d like to reach out to school boards about straw bans. After straws, she’s considering her net target. Under consideration: plastic milk bags, which would fit with her theme of starting small. As for her personal future, Kaya plans to follow her passion and is already thinking about careers in oceanography or marine biology. She has no shortage of confidence and is ready to respond to critics.